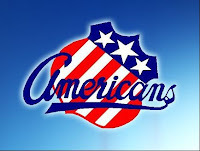 The Rochester Americans were looking good through 50 minutes of play Saturday, but then the wheels came off by allowing four quick goals en route to accepting a 4-3 loss at Hamilton. Brian Flynn got the Amerks out to a 2-0 lead with his second and third goals of the year before the Bulldogs made their late-game surge. Connor Knapp stopped 30 of 34 shots, including 15 in the opening frame, to take the loss in his first professional start. Zemgus Girgensons picked up an assist for the first two-game point streak of his professional career. The Amerks (6-3-1-0) return home to prepare for Friday's matchup with Adirondack. Dan Catenacci extended his goal streak to four games with his 11th of the year and added two assists as Owen Sound smoked Erie 6-1. Catenacci has been on fire over the last four games, collecting five goals and 11 points as the Attack has jumped out to an OHL-best 12-2-0-2 record. The Attack, who picked up their second-ever sweep of the double header at Erie and first since 2006, conclude the three-game weekend Sunday in Kitchener. Justin Kea extended his point streak to five games with a second-period helper as Saginaw came back to defeat Belleville 3-2. The 6-foot-4 center ups his season line to 3-9-12 through 16 games heading into Sunday's home game versus Sarnia. Brady Austin logged an even rating for the Bulls, who square off with Windsor on Sunday. Alex Lepkowski advanced the puck out of his corner to earn a secondary assist on Mark Scheifele's overtime winner as Barrie edged Sault Ste. Marie 5-4. Lepkowski had gone without a point in his previous nine outings. The Colts continue their road trip Tuesday in Peterborough. Mikhail Grigorenko scored his 12th goal of the year as Quebec lost at Rimouski 4-1. Grigorenko has points in 15 of the Remparts' 16 games this season for a line of 12-19-31. Quebec heads home for Friday's tilt with PEI, while Grigorenko will play two games of the Subway Super Series on Monday and Wednesday. Andrey Makarov tied his season high with 40 saves as Saskatoon dropped a 5-4 shootout decision at Lethbridge. The Blades return home to host Regina on Friday. Makarov will join Team Russia for the Subway Super Series. Colin Jacobs was unable to score as Prince George suffered a 5-0 defeat at Kelowna. The Cougars are off until Friday, when they begin a three-game weekend by hosting Edmonton. Logan Nelson recorded an assist as Victoria got drilled by Portland 6-2 for the second straight night. The Royals continue their road trip Wednesday at Lethbridge. Jake McCabe (1 SOG) and Brad Navin (2 SOG) each came up empty as Wisconsin was blanked by Colorado College 3-0. Trailing 2-0, McCabe took an elbowing penalty in the final minutes to take the wind out of the Badgers sails. Wisconsin will take a bye week off before resuming the WCHA schedule with a visit to Minnesota. Christian Isackson assisted on an Erik Haula (MIN) tally as #2 Minnesota was upset by Minnesota State 5-3. Isackson, who upped his physical play as the game progressed, has five points (1+4) in the Gophers' first seven games. Minnesota heads to Anchorage next weekend for a set with the Seawolves. Mark Adams sat out with an injury as Providence was shutout by Vermont 2-0. The junior rearguard could return to the lineup when the Friars travel to Massachusetts on Friday. Nathan Lieuwen made 31 saves to earn the game's number two star as Greenville defeated Florida 3-1. Lieuwen improves to 2-2 on the year with a 3.95 GAA and .869 save%. Riley Boychuk (-3) notched an assist and Shawn Szydlowski finished with a -5 rating as Fort Worth was hammered by Denver 7-1. Linus Ullmark was given a day off as MODO J20 earned a 3-2 win over Vasteras. MODO is off until Friday, November 16 when they take on Djurgarden. Judd Peterson did not dress as Cedar Rapids defeated Omaha 4-3. Next up for the RoughRiders is a Friday visit to Lincoln. any one know the problem with JGL ? JGL had a knee injury coming in to training camp. He returned to practice weeks ago.